Whether you spell them macaroons or macarons, these little cake sandwiches are making quite a splash on the British dessert scene. 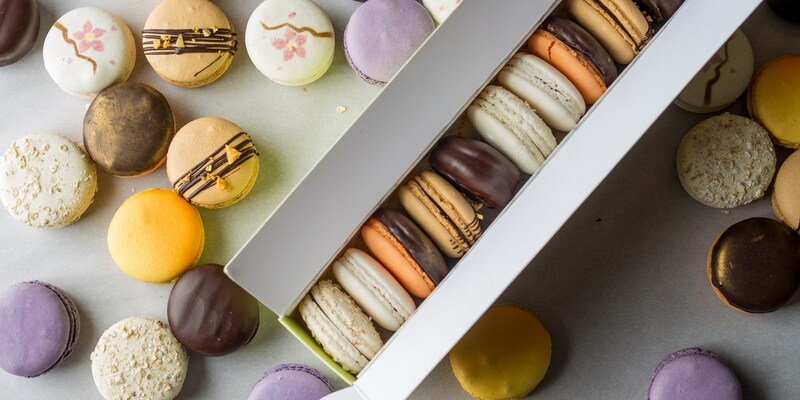 This collection of macaron recipes from our chefs will enable you to make these little French treats at home. These little baked sweets are wonderful for afternoon tea, as a dessert, or made as tasty gifts for friends and family, and the flavour combinations to try are endless. For an authentic French version, there's Pascal Aussignac's honey macaroons, or for a perfect British treat there's Galton Blackiston's raspberry and vanilla recipe. For something altogether a bit more fun, why not try Graham Hornigold's recipe for Jaffa Cake macarons.